“You hear a lot of jazz about Soul Food,” wrote Black Panther Eldridge Cleaver in 1968. “Take chitterlings: the ghetto blacks eat them from necessity while the black bourgeoisie” hold them in contempt. For affluent blacks, “eating chitterlings is like going slumming” says Cleaver. Chitterlings are not distinctive to African Americans and soul food, they are the comfort food of poor folks all over the world. 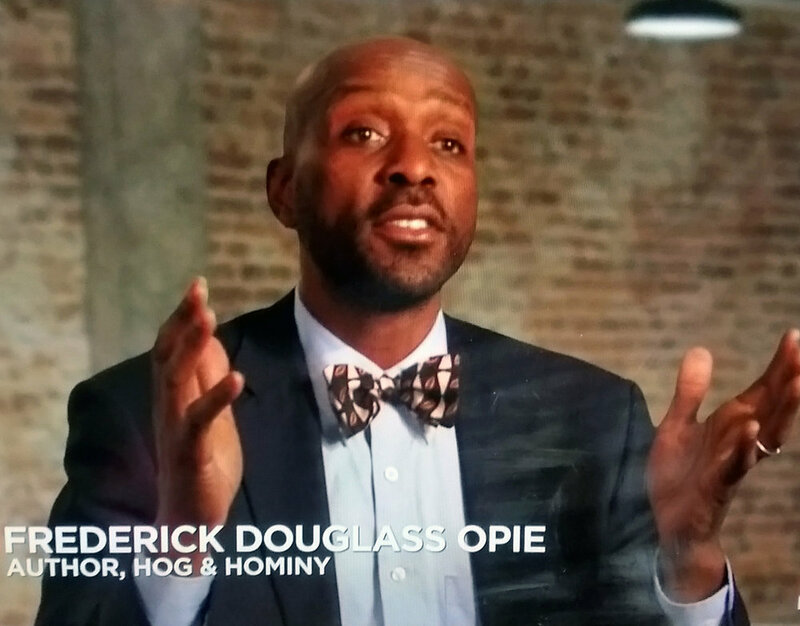 Folks with money have always eaten high on the hog and held poor cuts and portions of the hog like chitterlings in contempt. In contrast, those who’s financial circumstances forces them to eat low on the hog including chitterlings, trotters (pig’s feet), and pigs snots don’t have a lot of choices. Cleaver noted, “people in the ghetto want steaks. Beef Steaks,” but unfortunately they can only afford chitterlings which butchers often gave way or sold dirt cheap. In short, what we eat is most often an indicator of a social class and earning power.